It has been such a summer. I spent seven weeks in Egypt, a week in the UK, and a week at the beach with family with a quick stop in New York City somewhere in there. There is so much to write about, and I’m finally getting to my backlog of blog topics. 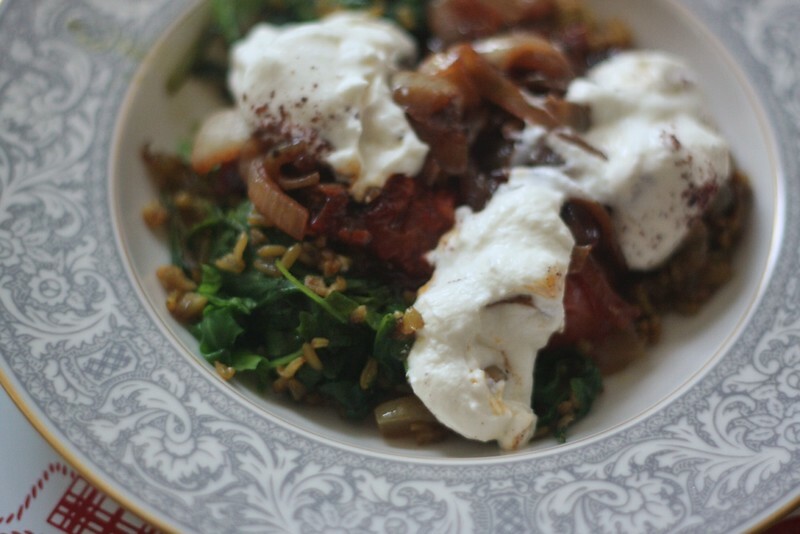 I’m starting from the most recent meal I cooked and working my way back, so in the coming weeks, expect to read about food and drink in Port Said, the history of koshari and Abla Nazira’s famous Egyptian cookbook, more pied noir recipes from Morocco, the best Italian food in Egypt, and more. 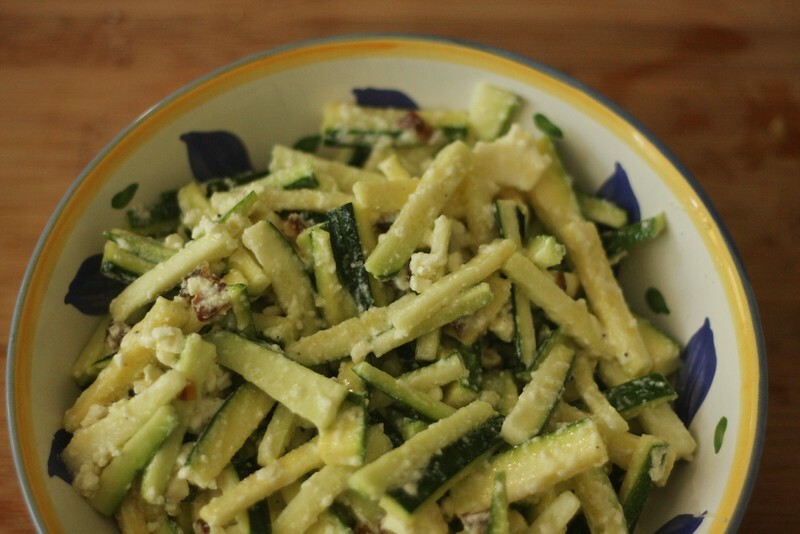 But for now, here are two dishes perfect for throwing together a summer dinner: a brisk, crisp raw zucchini salad (h/t my dear friend and Cordon Bleu graduate Juliet) and a luscious summer grain bowl (h/t the inimitable Maggie Fick, lately of Cairo, now the FT West Africa correspondent). Both dishes are vegetarian, which I’m always partial to in the summer heat, but will leave you full and happy. 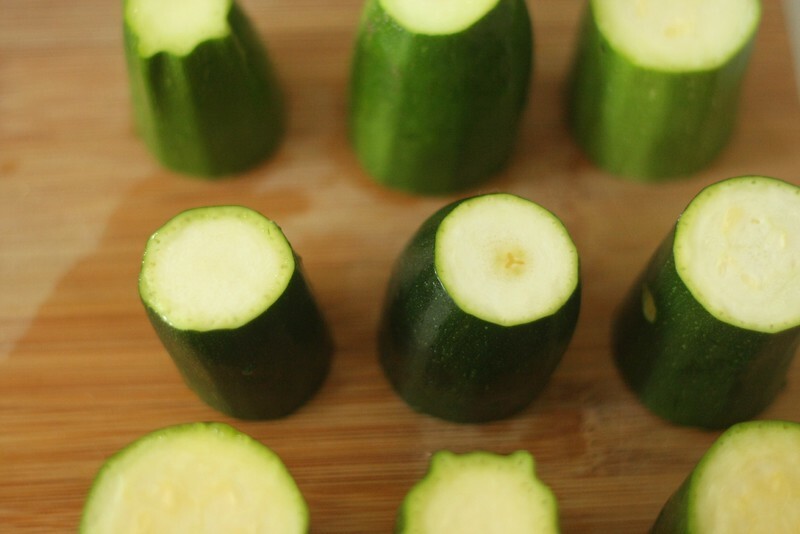 1 zucchini, cut into dainty pieces (see image). If you have a mandolin, go crazy and make them even thinner, otherwise, bring your patience & your knife-skills and create small bite-sized pieces. It will be worth it. 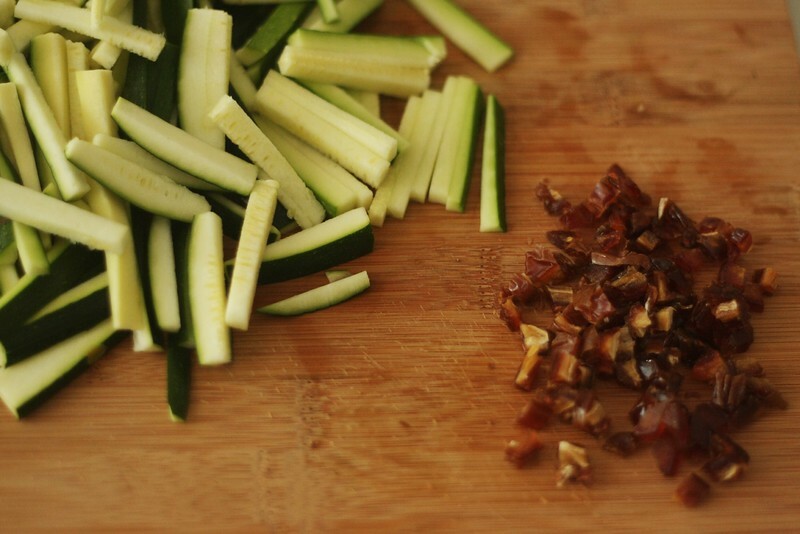 The zucchini salad is quite easy. 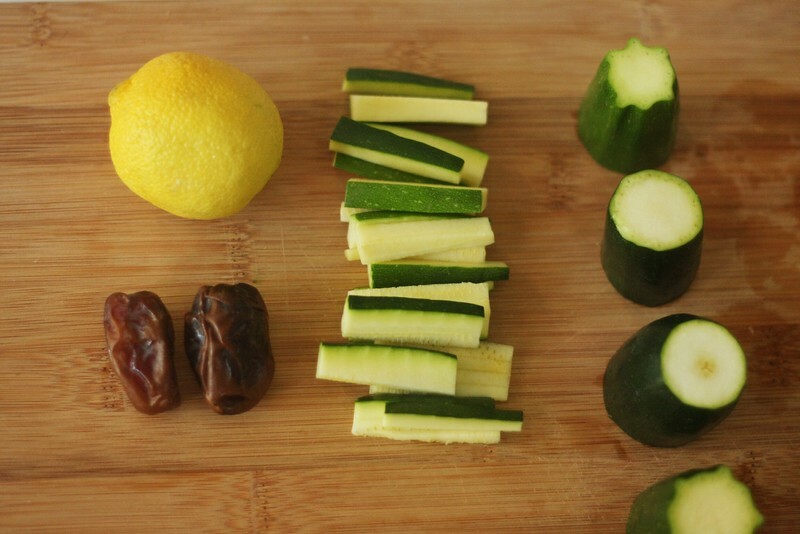 You just toss all those ingredients together, adjust for salt and lemon juice, and let it sit a while before serving. And then serve in a smaller bowl. 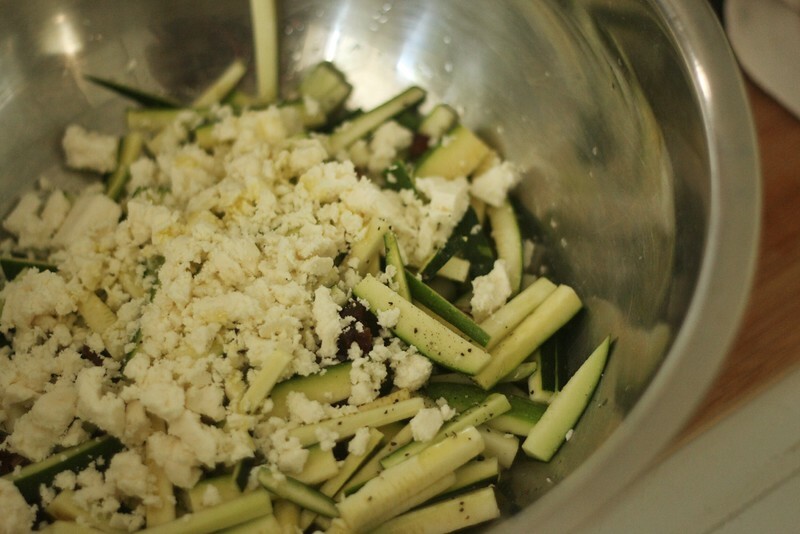 This technique is especially useful for this particular recipe, because it’s so important that the feta really gets distributed everywhere. The directions for the grain bowl might seem involved and complicated, but each component is fairly straightforward. 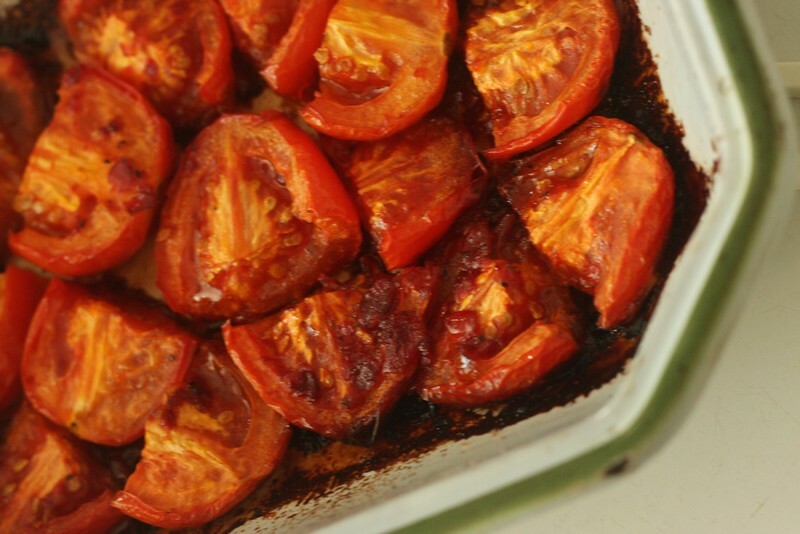 First, preheat your oven to 350 degrees F. Slice your tomatoes into quarters and place them in a heavy (and deep) baking dish. 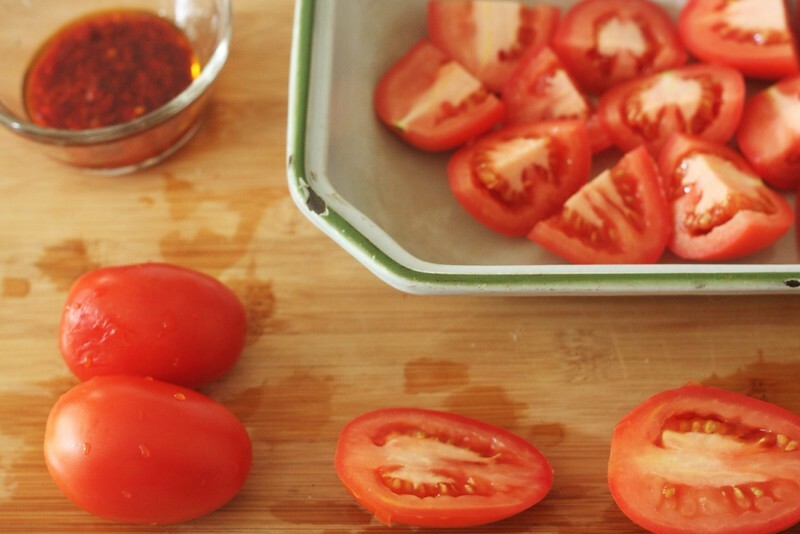 Toss the harissa/hot sauce, some olive oil, balsamic, and salt and pepper, and toss the tomatoes in this mixture, leaving them all face-up. 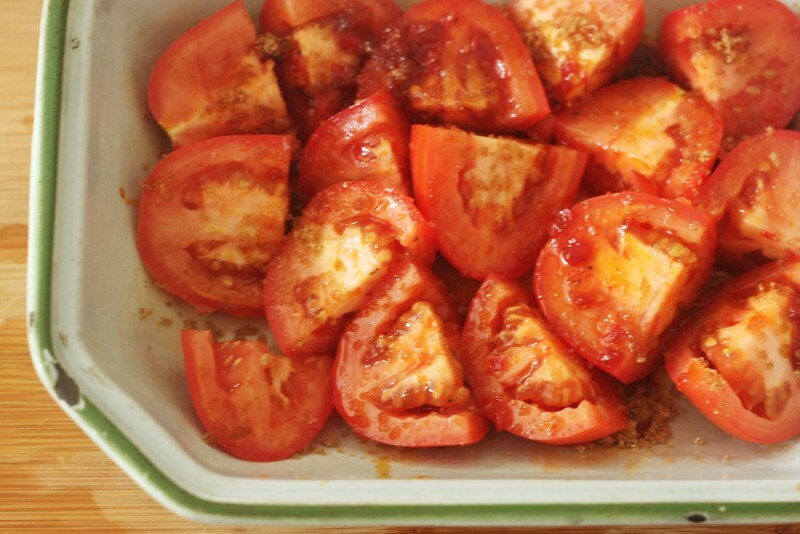 Next, shower those tomatoes with a goodly amount of brown sugar. Yessssssssss. 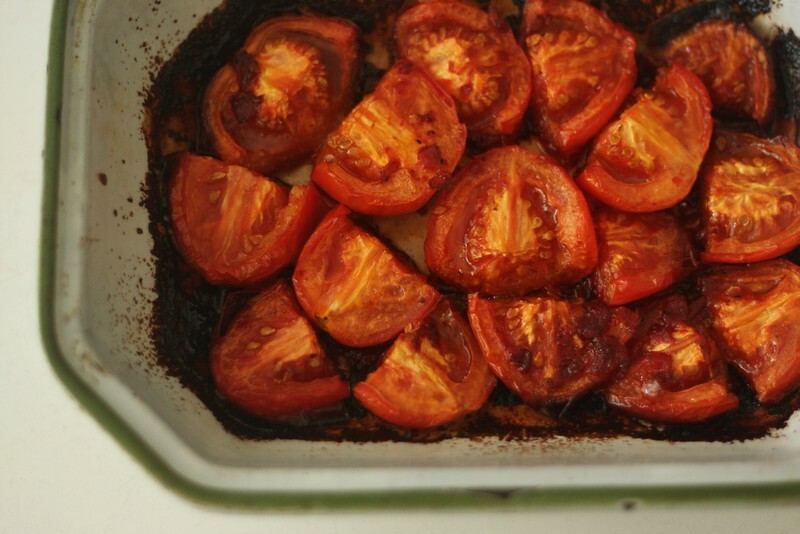 And bake them for about 45 minutes (more or less, depending on the size of your tomatoes and the oven). While that’s happening, caramelize the onions. Start by cooking them in butter and olive oil on medium low heat; once they start to turn translucent, add the spices and brown sugar and turn to low heat. Stir occasionally for 45 minutes. Finish them with a squeeze of lemon. It actually adds a nice bit of texture to the dish if some of the onions are a bit crispy, so let your caramelizing hair down and don’t worry about manning the pan or keeping the heat as low as much as you might normally. For the pilaf, first prepare your spinach: wash the leaves off and then wilt them in a covered pot using just the water they were rinsed in. This just takes a few minutes. 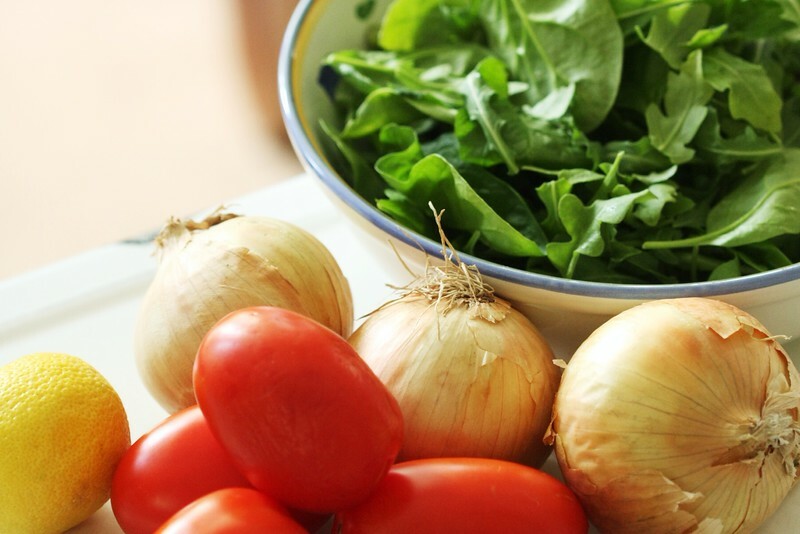 Set the spinach aside and saute the chopped onion and garlic in olive oil (you can add spices of your choice – I used ginger, cumin, and ras al hanout the last time I made this). Throw in the grains and let them get coated in the oil, stirring for about a minute, before adding water (or broth, if you wish) and cooking according to the instructions. If you want to kill two birds with one stone, you can use some leftover wine (or beer, or water) to deglaze the pans you roasted the tomatoes and caramelized the onions in. They’ve probably got stuff on them at this point. And once they’re deglazed, use the resulting liquid to cook the grain. Yum! Once the grain is cooked, throw in the spinach, mix it up, and adjust for salt and pepper to taste. Serve either in a big dish or plate individually: first spoon in the grains/pilaf, then add tomatoes, dollops of lebneh, and onions. You can also sprinkle in chopped fresh herbs (the original recipe calls for mint, but I’ve used basil, which is also nice) but it’s not necessary. If you have a friend bring over a bottle of rosé and some gazpacho, then you’re really in business.